We produce programmable controllers, I/O modules and software for programming, visualization and connection to the internet. Controllers are suitable for various applications, they can form multi-level networks and can be connected to various third-party devices. Products are developed in-house, ensuring quality and in-depth support. We also offer customization with affordable price and short development time. All devices are produced in EU. 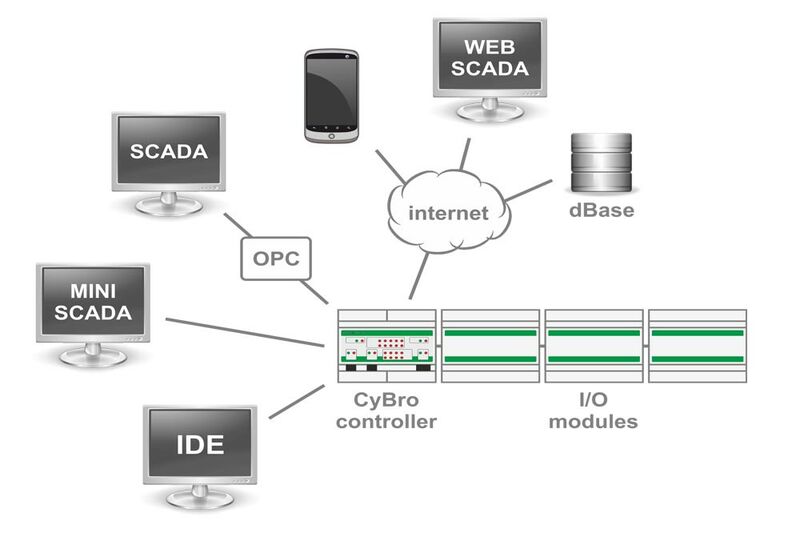 Our own PLC with a wide range of industrial i/o modules, visualization software and OPC server. String monitor modules and boxes. Inverters from various sources can be integrated into the system. Devices to control lights, blinds, heating/cooling and energy monitoring. Homes, buldings, smart cities and infrastructure.